The Moorestown Mall in Moorestown. WCRE | CORFAC International announced it was appointed by PREIT as the exclusive office leasing agent to market about 30,000 square feet at the former Macy’s store located in the Moorestown Mall in Moorestown. 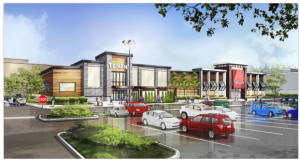 The leasing opportunity is located contiguous to the newly opened HomeSense, Five Below and the soon-to-open Sierra Trading Post and is situated in a location with an average traffic count of 88,000 cars passing by the mall each day, according to WCRE. Moorestown Mall offers direct access to Route 38 and is within close proximity to Route 73, I-295 and the New Jersey Turnpike. This large block of space is ideal for a variety of non-retail uses, surrounded by brand name retailers, state-of-the-art entertainment and numerous restaurants, the Moorestown Mall offers a diverse mix of high demand uses. WCRE’s Vice President and Principal Chris Henderson and WCRE will be working closely with PREIT to facilitate the leasing of the property.